You’re at the bottom of the mountain you’ve been told to climb to the top. You look up at the summit and it seems so far away. You’re not sure how you’re going to get there. A clearly defined path isn’t visible to guide you in the right direction. The whole situation is a bit scary and overwhelming. But others before you have climbed this mountain. They’ve made it to the summit. And if they can to do it, then you can too. The top of the mountain – literal or metaphorical – is reached when you focus on each step, not how steep it is. You reverse engineer the climb. 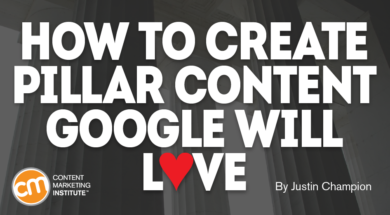 You can do this with your content and climb the mega mountain of Google search. Working backward step by step, you can create a valuable piece of long-form content – and create a map on how to blaze that trail the next time. Your mountaintop is a resource-driven pillar page, which serves as a library to showcase your top-performing content on a specific topic. And to help you visualize the climb, let’s think about the travails of a dentist’s patient. Put yourself in the dentist’s chair, getting your teeth cleaned. Your dentist informs you that you’re susceptible to gum disease and recommends you take your oral hygiene seriously. The second non-ad result is from Colgate. 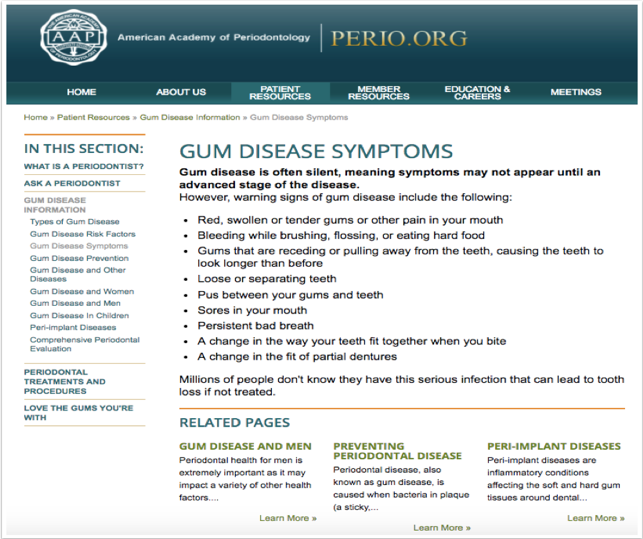 It references gum disease causes, prevention, and treatment. 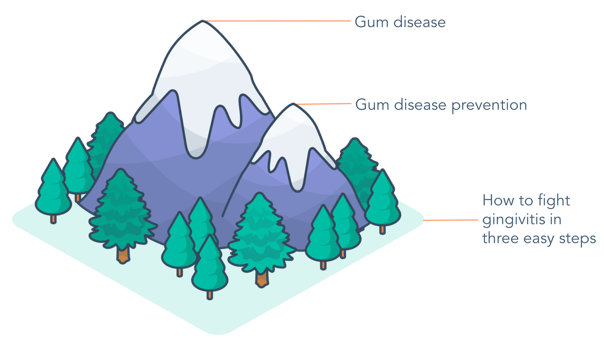 If you’re looking for a comprehensive resource on gum disease, this link might be a good place to start. Upon arriving at Colgate’s gum disease page, you’re pleasantly surprised by the depth of content. Various sections focus on contextual situations related to gum disease with referral links to continue learning. You can find the content you’re looking for without having to dig for it. 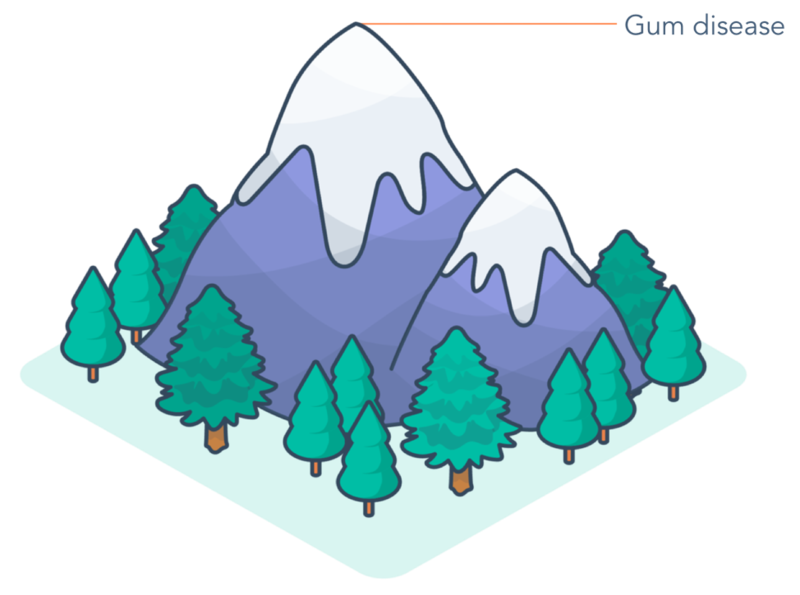 Think of Colgate’s gum disease resource page as the top of the mountain – a pillar of content like the one you aim to create for your brand. Let’s reverse engineer it with this six-step process – and create a path for you to create a resource pillar page of your own. Identify a head term – an overarching keyword topic with high monthly search volume. This head term serves as the summit of your mountain. It should be broad, usually two words (depending on your industry). For example, “gum disease” would be a great example of a head term for Colgate. It’s broad enough to be explained with context (which I’ll get into in the next section). To make sure you choose a correct head term to align your ongoing content creation efforts, it should support at least one of your products and/or services and should be a term your buyer persona would use when searching. It’s important that your content supports visitors becoming customers. Colgate features products related to gum disease at the bottom of its resource page. To find potential head terms, you can perform research on Google. Use the Keywords Everywhere plug-in to determine monthly search volume. TIP: Choose a head term with a monthly search volume of at least 2,500 that aligns well with your content marketing strategy. 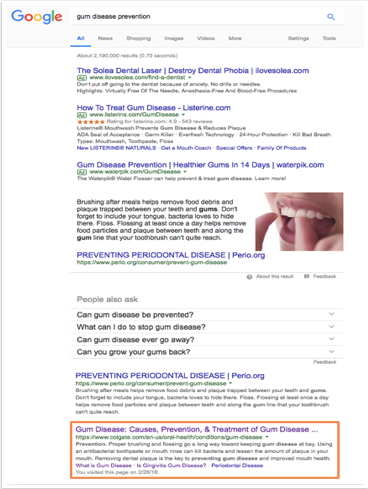 Colgate’s head term – gum disease – has a monthly search volume of 90,500. 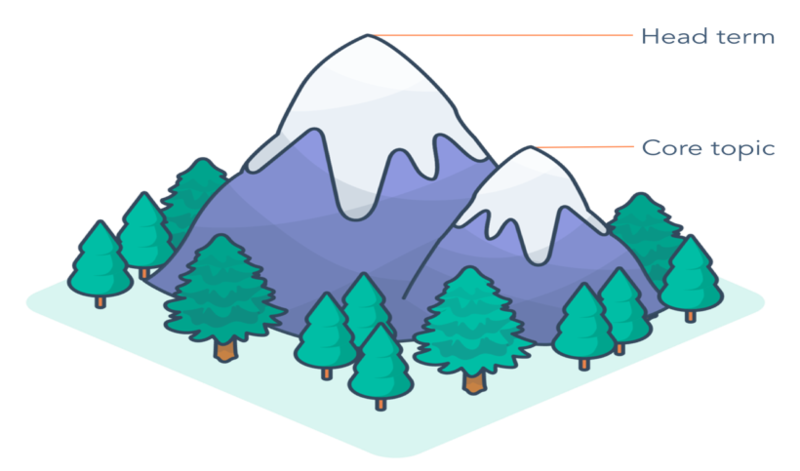 Identifying the summit first (i.e., the head term) makes it easier to reverse engineer how you’re going to get there. Next, you want to select a series of core topics – terms that align with and provide context to your head term. These topics have high monthly search volume but not as high as the broader head term. Research potential core topics on Google. Review Google’s autocomplete and related search suggestions. The Keywords Everywhere plug-in also enables you to view monthly search volume for each suggestion. When performing research on search engines, don’t just focus on monthly search volume. Take the time to analyze the first page of the search engine result listings. Click the top listings and review each link’s content. Ask yourself: Is this content up to date? What’s the searcher’s intent? How could this content be improved? If you’re unable to provide new value on a core topic you’re researching, then skip it. The last thing you want to do is create something already being said well. TIP: Choose core topic terms that have a monthly search volume between 400 and 2,500. 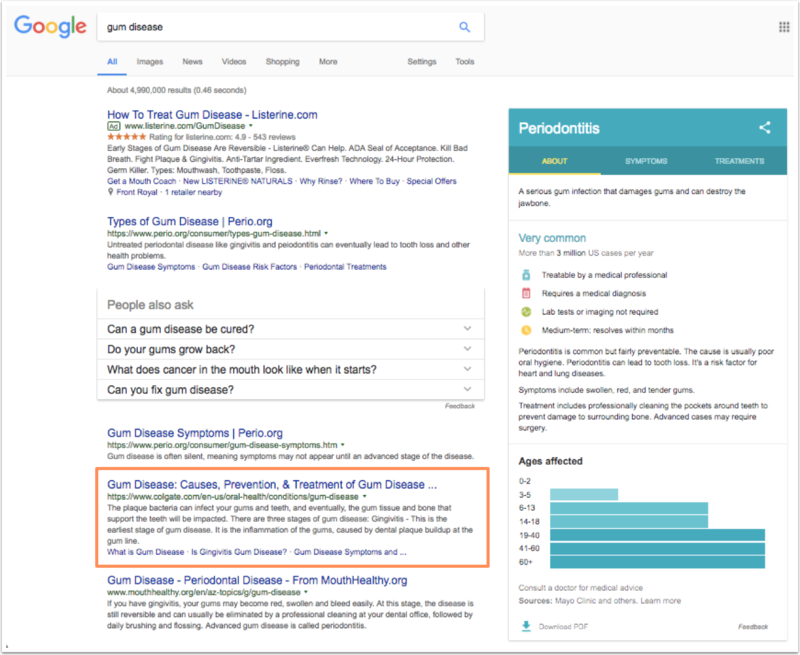 Colgate’s core topic “gum disease prevention” has a monthly search volume of 590. Determine subtopic content based on your core topic clusters. 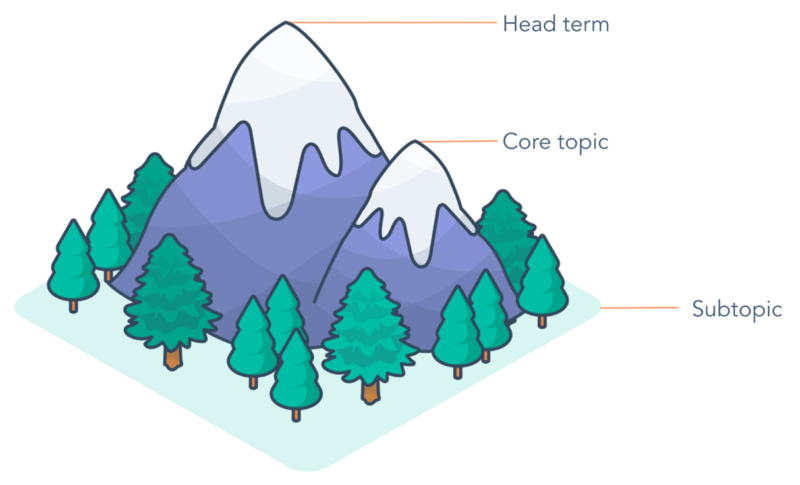 Subtopic content is the base of the mountain – the content you create on a weekly basis, like blogs, videos, etc. Your core topics should be supported with subtopic content assets. Think of each piece of subtopic content as a step toward your core topic visibility. You may have dozens, hundreds, or even thousands of potential subtopic content assets. The goal should be to fill the core topic section on your resource page with top-performing subtopic content assets – connecting people with the most valuable resources based on what others found helpful. You’re not the only website competing for attention. You may offer the best content, but if a competitor has a stronger website authority, it likely will rank higher in search than your website. A high website authority indicates the content is more trustworthy and credible by search engines. 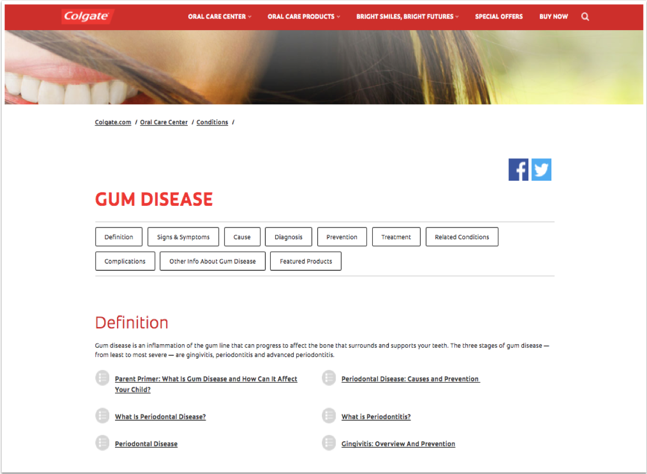 One of Colgate’s biggest competitors, Crest, created a comprehensive “gum disease” page. It offers sectioned content with a lot of helpful text, images, and video. Where do you think this page ranks on Google? 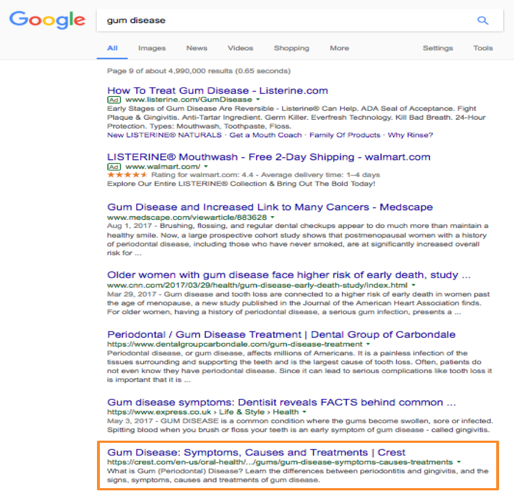 Crest’s “gum disease” page is visible on the ninth page of Google search results. Why is the Crest page ranked so much lower than Colgate’s? They both have helpful information. They both link to relevant resources. They’re both household names. But Colgate’s inbound links are double that of Crest’s. The first four steps are a lot to take in. The best thing is to focus your time and energy on creating your first cluster of related content that links to a pillar page for a core topic. I don’t want to shortchange this statement: It takes time to create remarkable content. When creating your first topic cluster, I recommend creating a 10x content pillar page. A 10x content pillar page is a deep dive on a core topic. The format is similar to an ungated e-book or guide with a packaged downloadable resource of the page’s content for people who want to print or save the information. An efficient way to create the 10x content pillar page is to first create the downloadable resource. If you have one, deconstruct it into a 10x content pillar page. On my alternative living website, Wild We Wander, I deconstructed our DIY truck camper guide into an ungated 10x content pillar page. The result? Since creating the 10x content pillar page in February 2017, organic, non-paid traffic from search engines went up 943%. If you don’t have a guide or e-book, consider reverse engineering one through a series of related blog posts. That’s how I created the DIY truck camper guide over the course of two months – using my website’s blog. TIP: Ahrefs found the average first page ranking also ranks well for about 1,000 other relevant keywords. Keeping this in mind, make sure to narrow the focus of your topic clusters around one core topic. Remember, if you’re able to get a first page ranking for your core topic, then chances are there will be other rankings Google will reward you with. Creating content that ranks on the first page of Google results is not an easy feat. But with the right planning and mindset, it’s possible. When things become difficult and roadblocks appear, remember why you’re doing this in the first place – to get to the top. And once you get there, you’ll feel what it’s like to see your hard work pay off. Build your pillar content with expert insight. Learn from over 100 presenters at Content Marketing World Sept. 4-7. Register today using code BLOG100 to save $100. Justin Champion is the author of Inbound Content, Content Professor for HubSpot Academy, and one half of Wild We Wander. Justin created HubSpot Academy's Content Marketing Course, which has awarded over 25,000 certifications to professionals across the globe since November 2016. He brings his decade of experience to his current role where he's dedicated to educating and inspiring the world how to become better storytellers. You can find him on Twitter @JustinRChampion or on LinkedIn.